Giving back to the industries and greater community that we serve is a responsibility that our organization takes seriously. As such, contributing to both local and national organizations that act to improve our community is a priority at Stanhope Simpson. Below is just a snapshot of how we give back. 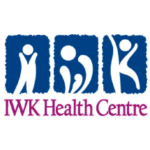 The Great Big Dig is the region’s most anticipated and exciting fundraising evening for the IWK Health Centre. “The Dig” is an evolution of the Great Big Gig, an event that has raised over $2.9 million in the past 14 years. Stanhope Simpson Insurance is proud to be a Gold Sponsor for the event. In addition, Victoria Stanhope serves on the Dig’s Steering Committee. 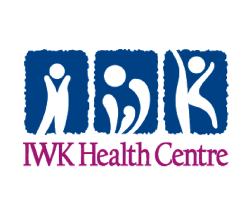 In 2018 alone, the event raised over $500,000 for the IWK. We invite you to click here to learn more about the initiative. Meaningfully contributing to the industry that represents our firm’s strongest area of specialization is a core value of our organization. The Construction Association of Nova Scotia (CANS) is the foremost non-profit organization of which many of our clients belong. As such, our involvement in CANS is extensive. Our President, Victoria Stanhope, serves on the CANS Board of Directors. Members of our team serve on the CANS Developing Executives Committee, Government Relations Committee, Marketing Committee & Membership Committee. We are the exclusive provider of the CANS Advantage member discount home & auto insurance program. Click here to learn more. We administer the construction insurance and surety bonding course at CANS. 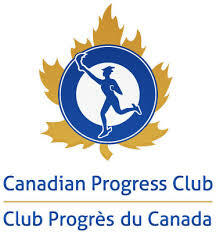 We sponsor, support and help organize various CANS events and initiatives. Stanhope Simpson holds a Bowman Award. (CANS recognizes member companies that have succeeded in business and held a membership beyond 25 years with this award). The Dalhousie Centre for Family Business and Regional Prosperity is dedicated to the support and promotion of family businesses and their extraordinary contribution to the economy of Atlantic Canada. A research component to encourage and support research in to family business issues throughout the region. For 13 years, Stanhope Simpson was the Presenting Sponsor of the Heart&Stroke OpenHeartOpen golf tournament. In that time, more than $400,000 was raised to support life-saving research and health promotion programs. We encourage you to visit www.makehealthlast.ca, take the health risk assessment, and learn how you can live a longer, healthier life. Huntington disease is a fatal hereditary brain disorder with devastating effects on both the mind and body. It is like having the symptoms of Alzheimer’s, Parkinson’s and ALS all in one disease. Stanhope Simpson is proud to be one of the single largest donors to the local Halifax Chapter of the Huntington Society. Over the past 20 years, we have raised more than $100,000 to help provide crucial services to families in our area impacted by this horrific disease. To learn more, or to make a donation, please visit https://www.huntingtonsociety.ca.